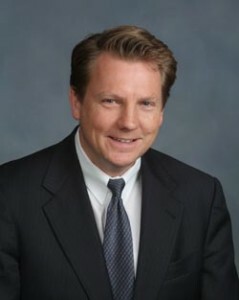 At present, Dr. Mark Plunkett works as a Visiting Professor at the University of Illinois College of Medicine. He specializes in Thoracic Procedures, Congenital Defects and Diseases, Vascular Treatments, Cardiology, Transplant Procedures, Cardiovascular Disease, and Pulmonary Disease. Such an extensive professional list of specialties and qualificantions came from a very thorough and intensive training background which spanned approximately 20 years. During this time Dr. Mark Plunkett researched and studied at some of the most prestigious universities, medical centers, and hospitals in the country. He began his scholarly trek in 1978 at Duke University, where he received his Bachelor of Science in Biology in 1982. Immediately after graduation, Mark Plunkett started at the University of North Carolina School of Medicine, successfully earning his Doctor of Medicine degree in 1986. Dr. Mark Plunkett’s Residency in G.S. began in 1986 and was complete in 1993. He then returned to Duke from 1993-1995 for a Fellowship in one of his present specialties, Thoracic Procedures. From 1995-1996, he completed an additional fellowship in Cardiology. Dr. Mark Plunkett has become Board Certified in Thoracic Procedures as well as Congenital Defects and Diseases by the ABTS. Wherever he is working, Dr. Mark Plunkett is passionate about making positive contributions to the community helping individuals and families gain access to the health resources they need. In addition to his professional roles in numerous hospitals and medical centers, he will also travel to different areas across the globe to volunteer and support various charity work related to his field.